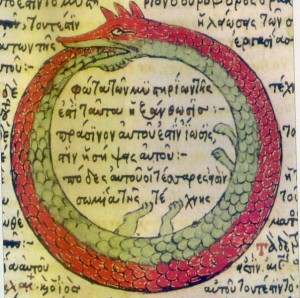 The Uroboros is a dragon which is swallowing it’s own tail, and the symbol is found in many places around the world, from West Africa to Central America. Because it has a beginning and end at the same point, it symoblises the eternal cosmos cycle of destruction and regeneration. the Uroboros has been used in many traditions, from alchemy to kundalini yoga. The vikings were very keen on dragons, as is evident from all the dragon symbols they used, for instance their great big dragon boats. 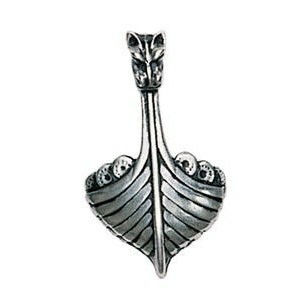 The longboat figurehead was an important, magical charm believed to frighten off supernatural predators. Voyages were dangerous and the Vikings sought the guardianship of the dragon for protection by placing this image on the Dragonhead Boat for Safety on Journeys. Some dragons were seen as dangerous and some were not. They believed that the sea of the earth was ruled by a poisonous World Dragon. Thor tried to kill the dragon by using the head of an ox as bait, but failed! 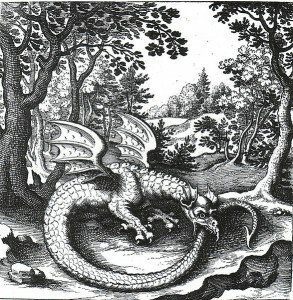 Nidhogg was a dragon who was believed to be under the ground. The Norsemen or Vikings thought of the world as a giant tree, which was called Yggdrasil. This was considered to be the structure upon which all life depended, or the order holding everything together. Under the tree in the underworld of Niflhelm and biting at the roots, was the first Dragon – Nidhogg who was thought to be constantly working to rip apart the Order. 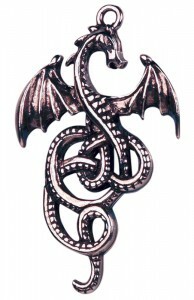 However by wearing a pendant of Nidhogg is was thought to bestow upon the wearer the ability to resolve difficulties and to survive and triumph through troubled times. 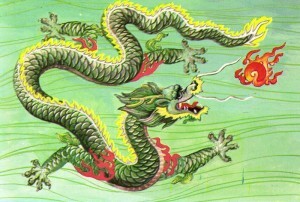 Chinese Dragons are perhaps the most iconic in popular culture, and play a very important role in Chinese beliefs. 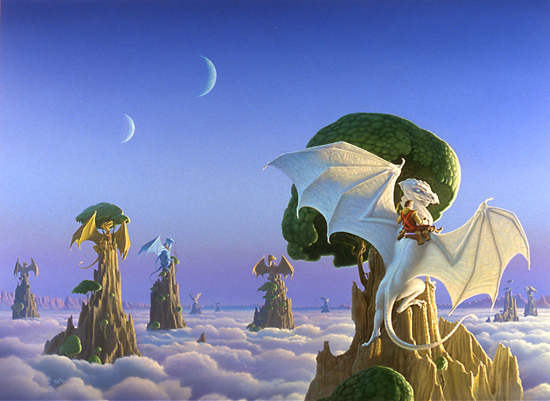 Dragons are said to determine the shape of the landscape and buildings are positioned in relation to their energy. The chinese dragon is fierce but rarely malevolent: it represent the East, the sun, and the bounty of the land. The blue Heavenly Dragon is the guard to the celestial mansions of the gods. Each emperor was seen as the incarnation of the dragon Yu, the mythical founder of the ancient Xia dynasty. Long, the five clawed dragon was the emblem of imperial power and its use by ordinary people was forbidden on pain of death. Members of the imperial family were buried along “dragon lines”, powerful paths of dragon energy. 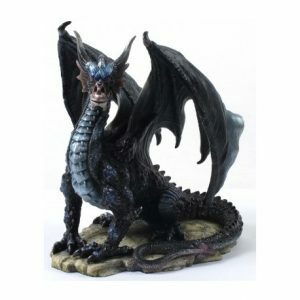 If Dragons are a powerful symbol for you, there are ways that you can express and also use this love and affinity to your benefit. 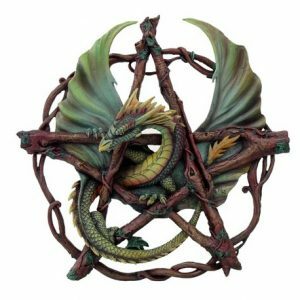 The first way is to enjoy dragons through dragon artwork, or through dragon jewellery, which can like Nidhogg, bring protection and the strength to get through troubled times, among other things. If you are interested in divination then I hightly recommend the Draconis Tarot Deck as well as being containing beautiful artwork which any dragon fan will enjoy, this tarot deck will really allow dragon fans to connect and produce accurate readings (with a bit of practise of course!). Once you open your mind to the dragons you can really let them ‘speak’ to you, and you will find that the pictures are very expressive and even funny at times.